6 Time Emmy Award Winner, Best Selling Author, Sirius-XM Radio Host. 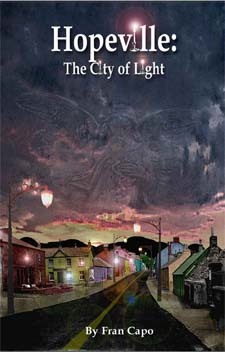 I chose to rate this short book 5 stars because it is a valuable story told simply but beautifully. I put the Kindle version in my WishList and got it yesterday for my birthday which also happened to be the exact time I most needed the reminders it contains. I read it cover to cover this morning before breakfast and it will be in my heart for the rest of my life. I’m going to be recommending this to many people! This book is an amazing read! It leaves your heart feeling warm and light. 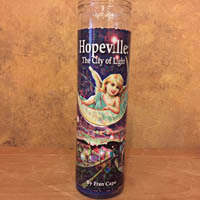 If more people read this maybe there will be a place called Hopeville. 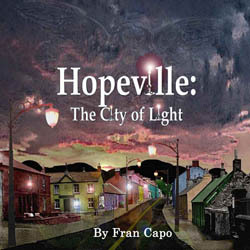 Hopeville is an inspirational story by Fran Capo. It’s message is uplifitng and positive. An ideal e-book to read over and over again. The story is filled with love, hope and encouragement proving change is possible one person at a time. I loved it you will too. Fran is pure inspiration in print as well as in person! Such a gifted writer and World Class Adventurer! I recommend All her books…. Lots of valuable lessons in this parable!